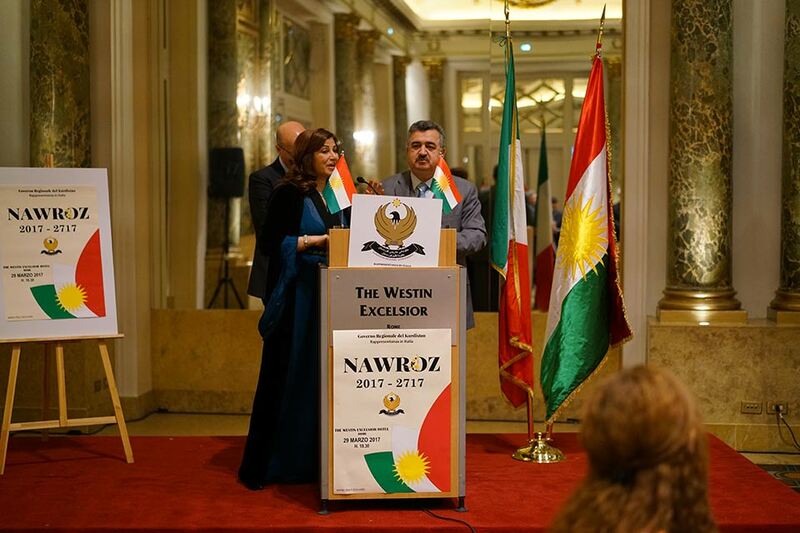 Yesterday, a reception, organized by the KRG Representation in Italy, was held at Hotel Westin Excelsior in Rome, to celebrate the Kurdish New Year Nawroz and the revenge of the Kurdish people on ISIS. The Kurdish New Year is a very important anniversary for the Kurdish people as a symbol of rebirth, which coincides with the beginning of spring. 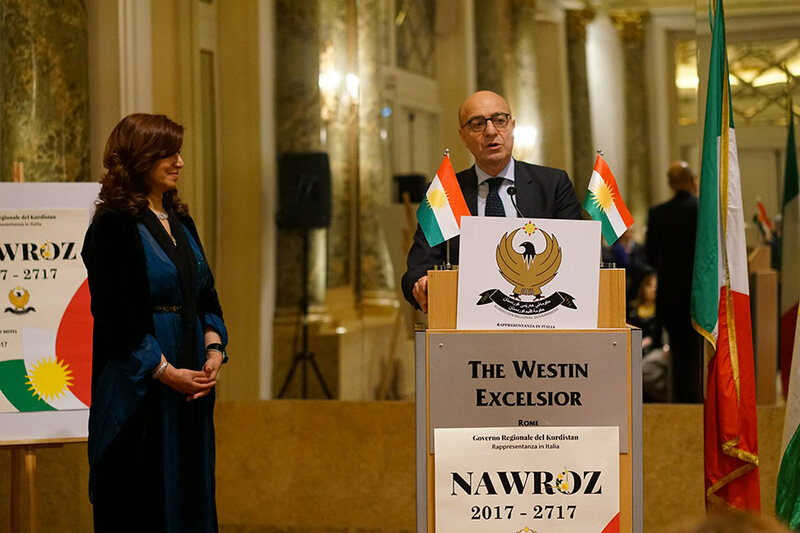 This year, the High Representative Rezan Kader has chosen to dedicate the celebrations to the successes of the brave Peshmerga which for two years and more are fighting valiantly against the ISIS terrorists. The Peshmerga were able to clean up the areas under the hands of ISIS, and now are continuing to fight to free the other areas of the rest of Iraq. 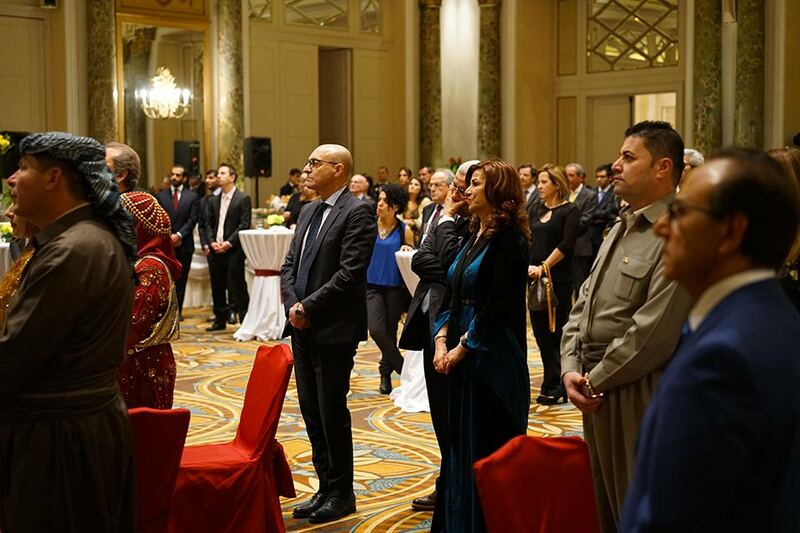 Mrs. Kader welcomed all guests and thanked them for having accepted the invitation to the celebrations. 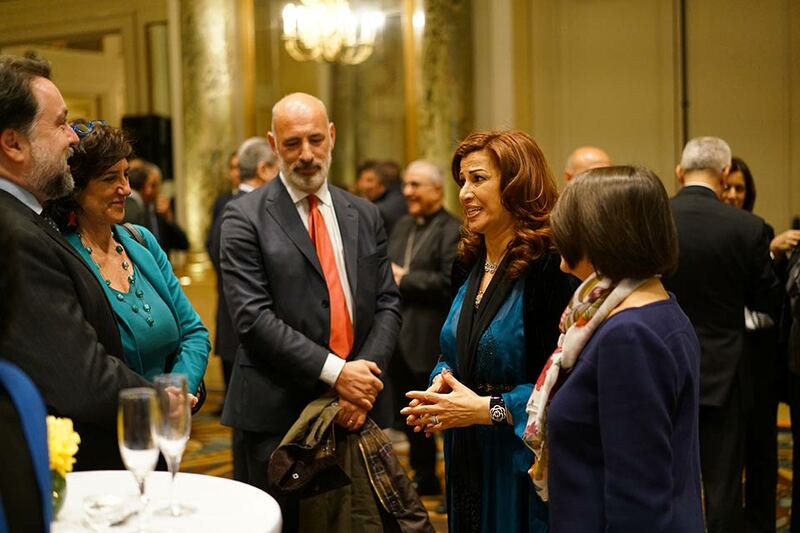 She also thanked the Italian Government for the solidarity and support expressed to the Kurdistan Regional Government, as well as all on-site Italian soldiers which are taking care of the peshmerga military training and supporting them in the fight against ISIS. 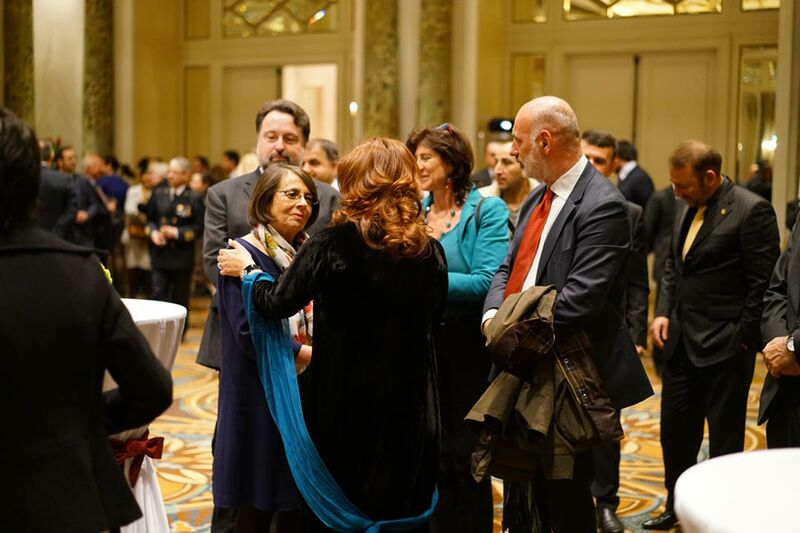 She then left the floor to the President of the Defense Committee of the Senate Nicola Latorre, who praised the courage of Peshmerga and the sacrifices that the region is supporting. 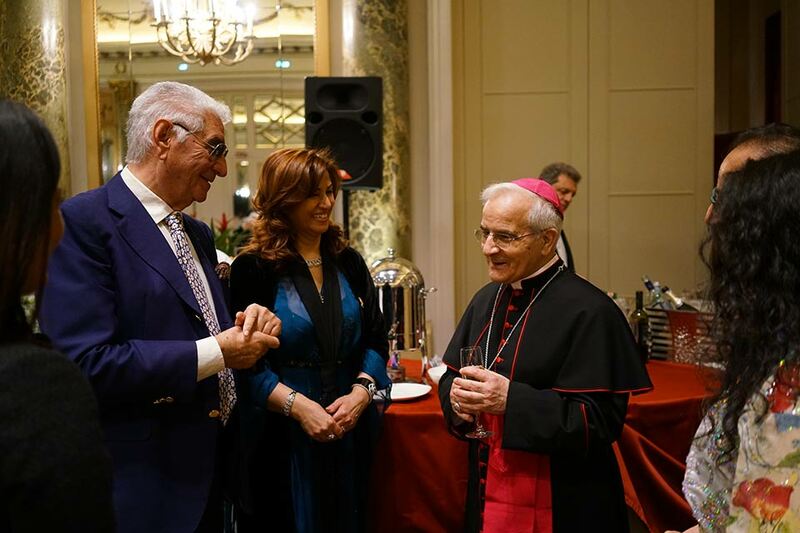 Finally, the Iraqi Ambassador to the Holy See, Omer Berzinji underlined the importance of Nawroz for the Kurdish people, and thanked all the guests for attending the reception but also the Italian government and the Holy See for their continued support in the fight against Daesh in order to restore peace and stability in the area. The Italian anthem and the Kurdish one followed the speeches. A beautiful video on the Kurdistan Region, the Nawroz celebrations and the latest achievements of the Peshmerga was showed on a big screen. Present at the event, representatives of the Holy See and the Congregation for Eastern Churches, the Presidency of the Council of Ministers, the Chamber of Deputies and the Senate of the Republic, the Ministry of Foreign Affairs, the Ministry of Defense and the Staff of Defense, the Diplomatic Officials in Rome, the President of the NATO Defense College Amb. Minuto Rizzo, representatives of the Italian press, the Kurdish community in Rome, the President of DIACO and many other dear friends.